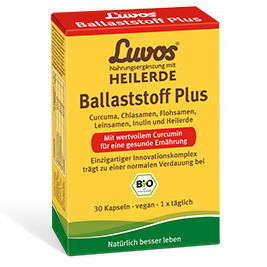 Luvos Organic Food Supplements promote beauty and well-being. 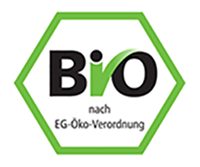 The innovative bio-complexes contain natural Healing Earth combined with perfectly balanced organic botanical ingredients. A healthy colon is the basis for beauty and well-being. 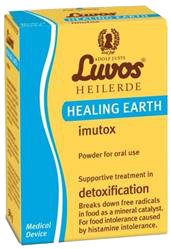 Healing Earth, a pure natural product, has been used for generations to support health. The innovative Luvos Organic Food Supplements contain optimally coordinated organic complexes with Healing Earth and natural botanical ingredients - from certified organic cultivation. 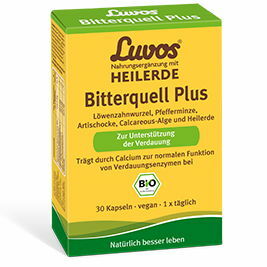 It is sufficient to take one capsule per day. 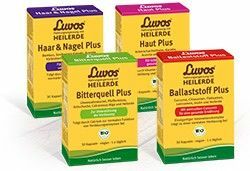 Luvos' holistic experience is the basis for selecting proven plants with special micro-nutrients. 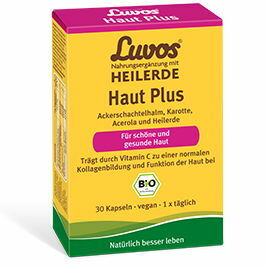 Luvos relies on the power of the whole plant: instead of artificially picking out individual ingredients, it maintains its naturally effective diversity with all of its special micro-nutrients to which humans have been adapted for thousands of years. An unbalanced, fatty diet can put strain on the digestive system. Excessive eating and drinking pleasure quickly lead to excessive demands on the digestive system. This can lead to bloating, stomach pressure or unwanted inertia. Healthy, natural digestion is very important for well-being and quality of life. The gut plays a significant role in the digestive process. Silky, smooth skin gives you a healthy appearance. A healthy lifestyle, proper care and adequate nutritional intake provide natural beauty from within. If the skin is not optimally supplied, it may appear dull and tend to wrinkle. Beautiful hair and strong nails ensure a well-groomed appearance. 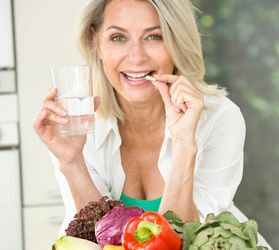 Dull hair and brittle nails can be signs of a one-sided nutrition.